Tired of shaving every day? Of having five o’clock shadow – five minutes after you’ve shaved? Of pesky ingrown hairs, razor burn or failed shaping attempts? Or hair that creeps up high on your face or irritates your neck? If you think your sentenced to a lifetime of shaving – or more painful still, waxing! – you’ll want to consider laser hair removal for your beard. Is this solution for which you’ve been searching? Let’s find out. Laser hair removal is a quick process (no need to call off work – unless you want to!). Concentrated laser light is directed at the hair follicles to reduce regrowth. So who can have Laser Hair Removal for the beard? You want to remove a full beard. Want it gone? Laser hair removal can help you achieve a clean cut look, without the bothersome little razor cuts. You want to shape your beard. Like a trim, neat appearance? 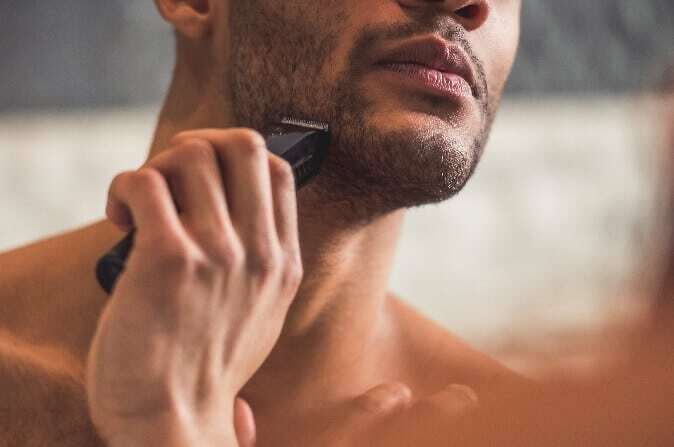 You can tighten up your beard with targeted laser hair removal. For example, if your beard creeps up on your cheeks or bothers you on the neck, you can elect to have that hair removed. You want a little extra room in your morning routine. Have that second cup of coffee; you’ve saved time not having to shave! You want a long term solution. Laser Hair Removal provides a long term solution for facial hair reduction. Schedule a free consultation and patch test today with one of our expert laser practitioners and learn more about laser hair removal for your beard!